Shot over a five year period from 2009 onward, A Syrian Love Story is a heartbreakingly raw examination of a relationship in freefall. Director Sean McAllister, having gained the trust of Amer and Raghda and their children, has assembled a movie that is often unbearably painful to watch. With his camera often positioned uncomfortably close to the “action”, McAllister captures the depth of feeling and distressed emotions of both parents. In the beginning, Amer is a loving father and devoted husband – his affection for his youngest son, Bob, is lovely to see – dedicated to looking after his family in Raghda’s absence, and it’s his solid presence that anchors the movie until her return. Up until then, all we’ve seen of Raghda is photographs that show a lively, vibrant woman with a ready smile. But the Raghda we finally meet is a pale shadow of her former self, silent, withdrawn, and seemingly unhappy with being away from her home country; whatever trauma she suffered while in prison is still with her. Faced with this change in his wife, Amer proves unable to cope, and as their marriage begins to crumble, we’re witness to moments that are so uncompromisingly raw and honest, they’re by turns difficult to watch and unavoidably compelling. That it never feels exploitative is due in large part to the relationship McAllister has built up with the family. At times he’s brought into the conversations (and the rows), and asked what he thinks. McAllister cannily avoids being pinned down by either side in the marital divide, but over time he does provide support for the children, allowing them an outlet for their own feelings of confusion and anger and loss. 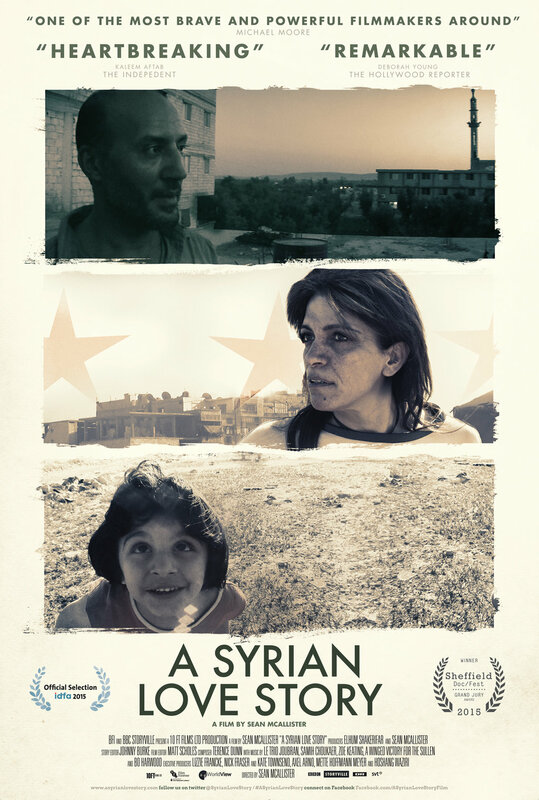 These moments are some of the most affecting in the whole movie, as the effects of leaving Syria and their parents’ break up are expressed calmly and rationally, while their expressions point to the turmoil going on inside them. Particular attention is paid to Bob, for whom the whole experience at times seems to be having the greatest impact, as when he expresses his desire to return to Syria and take a knife with him to kill President Bashar al-Assad (he’s only five or six when he says this). Death and murder, always there in the background, intrude more towards the end as Shadi points out all his friends who have died, pointing them out from photographs showing much happier times. It’s a poignant moment, and a potent one too – one of many in the movie – a reminder of what they’ve escaped from, and how important it was that they did. 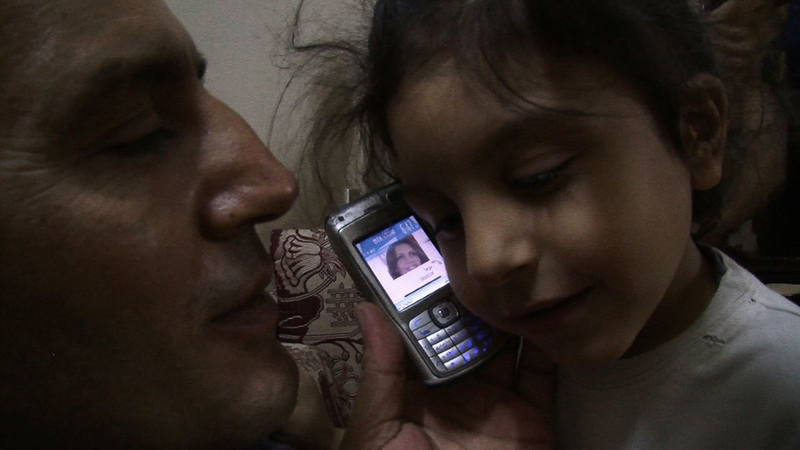 Rating: 9/10 – an unflinchingly honest and emotionally devastating documentary, A Syrian Love Story juxtaposes the breakdown of a marriage with the struggle to find a foothold in a foreign land; ably balancing the personal with the political as well, this is illuminating, superbly assembled, and an invaluable glimpse into the effects of a refugee crisis that, sadly, shows no sign of abating.